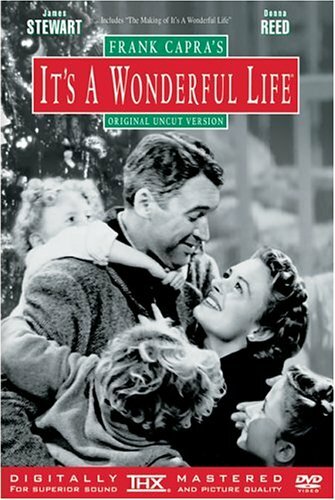 As Christmas approaches, many people will make time to watch It’s a Wonderful Life at least once. Having seen it again recently myself, I was struck by some parallels between the pro-life movement and George’s story. First, here is a brief synopsis for those unfamiliar with the movie. (Those who have been eagerly anticipating seeing it again since the credits rolled last year are invited to skip to the next paragraph.) George Bailey has big dreams. He wants to travel the world and then become a great architect. Every time he’s about to leave Bedford Falls, however, something comes up that requires him to choose between what he ought to do and what he saw himself doing. He ends up taking over the family business, providing loans to ordinary working people who would otherwise be swindled by the town mogul, Henry Potter. Thanks to him, his neighbours start successful businesses and own their own homes. Time and again he stands up to consummate businessman Potter, and just manages to keep operating. Then, thanks to his uncle and business partner accidently misplacing $8,000 that was meant for the business’s otherwise empty bank account, George faces the closure of his business and a prison sentence. There seems to be no solution and, in despair, he considers drowning himself. Fortunately, his family prays for him and an angel, Clarence, is sent to earth to convince him of the value of his life. Clarence shows George what the world would have been like if he had never been born and thus enables him to appreciate what he has and to see that his integrity has been rewarded. Rather than not achieving his dreams, he has achieved them in a more profound and fulfilling way than he could have envisioned. I see three parallels between George’s experience and the pro-life movement. The first is that we too have a big dream, one of the biggest anyone could have, to render abortion and euthanasia unthinkable. It is so big that it may take more than your or my lifetime to achieve it. We may carry on, standing up for life at every opportunity, but feel that the world around us hasn’t changed. Yet we don’t know how our actions affect others. Aside from loaning the residents of Bedford Falls the money to have houses and businesses, George did three vital things. He saved his brother’s life, he prevented a child’s death by pointing out a mistake made by his first boss, Mr. Gower, and he married and had children. Yet, when he was shown what life would’ve been like without him, he was shocked to see that his brother had died, that Mr. Gower was homeless after serving twenty years in prison, that his wife had never married and that his children did not exist. He measured his actions against his dreams and was, therefore, blind to their good. Just because we have not achieved our big dream does not mean we are not getting there. When we are protesting, it is easier to hear the insults shouted at us than to see the person who takes quiet note of our signs. Meanwhile, that person’s life could have been profoundly affected and they could, in turn, profoundly affect, even save, the life of someone else. We may not always be able to see it, but that does not mean that change is not being wrought and that that change may not be deeper and last longer than we could imagine. The second parallel is that it is not easy fighting for our cause. Like George, we are the underdogs. Henry Potter is the pro-choice status quo of our university campuses and our society-at-large. He believes that there are no vulnerable people, only problems. He proposes solutions that seem reasonable but are cruel. He seems to be helpful, but only hurts. No, being pro-life is not easy, but nothing of such importance can be. This brings us to the third parallel. Like George, we in the pro-life movement can get discouraged to the point where we consider stopping our work. At the moment, some campus pro-life clubs are having to go to court for the right to exist. Talks are being shouted down and protests prevented. We may seem to be, as George seemed to be, in an untenable position. Fortunately, we already know two major things that George learned, that life is wonderful and that everyone should have the chance to be born and contribute to their world. When Clarence was fighting to save George’s life, it seemed at first like a losing battle. However, he didn’t give up and neither should we. This entry was posted in guest blogger, Uncategorized and tagged by Kate, It's a Wonderful Life on December 18, 2010 by uOttawa Students For Life.